April is National Poetry Month, and Saturday, April 22nd is Earth Day. And I have a book recommendation that can help celebrate both: Black Nature: Four Centuries of African American Nature edited by Camille T. Dungy. Black Nature edited by Camille T. Dungy is edited by . 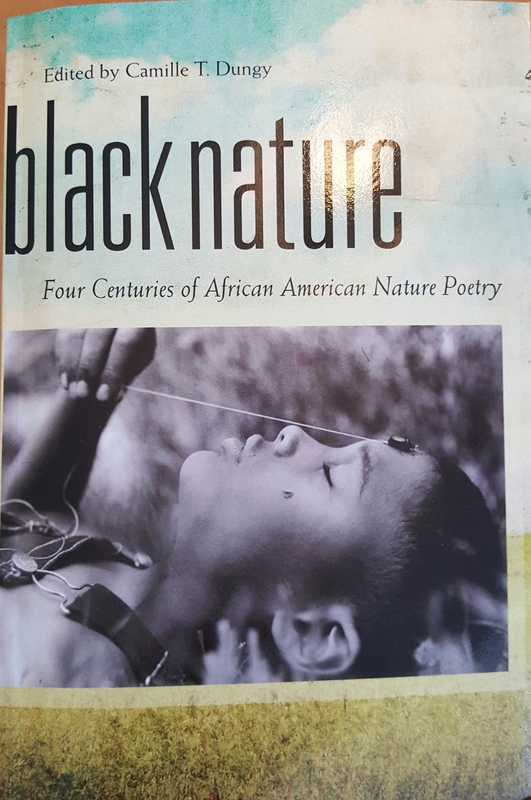 Black Nature offers a different perspective through which we might read, understand, and talk about the 93 black poets and their 180 poems included in this anthology. Dungy writes a compelling introduction in which she describes the noticeable absence of black writers from anthologies and discussions in ecocriticism and ecopoetics. She reminds us of the complex and unique connection that African Americans have to “land, animal, and vegetation in American culture”. Despite all these connections to America’s soil, we don’t see much African American poetry in nature-related anthologies because, regardless of their presence, blacks have not been recognized in their poetic attempts to affix themselves to the landscape. They haven’t been seen, or when they have it is not as people who are rightful stewards of the land. They are accidentally or invisibly or dangerously or temporarily or inappropriately on/in the landscape. The majority of the works in this collection incorporate treatments of the natural world that are historicized or politicized and are expressed through the African American perspective, which inclines readers to consider these texts as political poems, historical poems, protest poems, socioeconomic commentary, anything but nature poems. I want to test this new perspective, and with this in mind I turn to the poetry of Tyehimba Jess, the newly minted 2017 Pulitzer Prize in Poetry winner, who is coming to headline HoCoPoLitSo and Howard Community College’s annual Blackbird Poetry Festival on Thursday, April 27th. He will be reading and speaking with E. Ethelbert Miller during the Sunbird Reading. Notably, Miller’s “I am Black and the Trees are Green” is included in Dungy’s anthology. 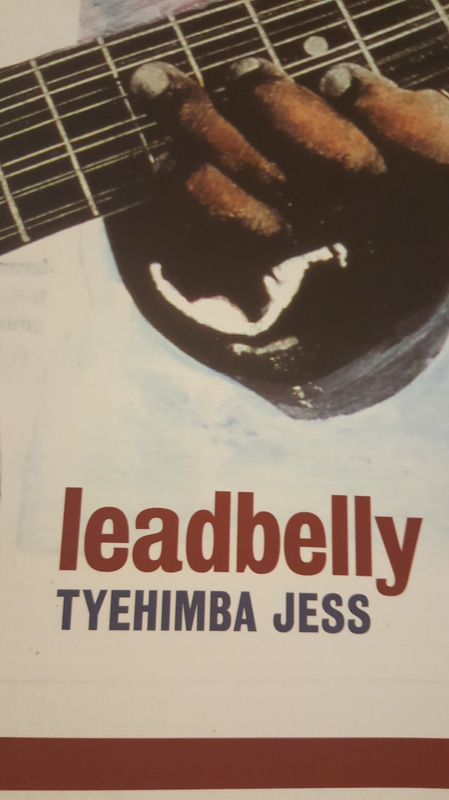 But in the context of Dungy’s Black Nature, I turn to Jess’s leadbelly with a different ear. singing a crusade of axe and machete i take virgin texas territory by force, clear it of timber and trouble. each eastern twilight, i till top soil ’til sun plants itself back into that western horizon. i keep struggling against a brooding moon’s skyline until dark sleep is my friend again, a place where i can dream drought into rain, pray storm could out of spotless sky. i want to let the water take me, i want to surrender to this river’s rock and swirl, come up clean and white as death itself, but the black in me breaks into blues, and i feel the coffle of their claws. i am stepping toward dry land, the dance of ankle chains, where i scream history into song that works itself into blood, sweat, memory. As I re-see the poems in leadbelly with a different framework, I am reminded how the way we group, categorize, thematically arrange, and shelf literature can limit or expand our experiences of literature. We put the poems under one category or another, and it’s hard to imagine what else it can be. To put it another way, a book like Black Nature is like a hearing aid. It can give us that extra power to hear poetry in an even more powerful way. It can help us turn up the volume on that work – perhaps turn up the bass or the treble and experience the poem in a myriad of ways. 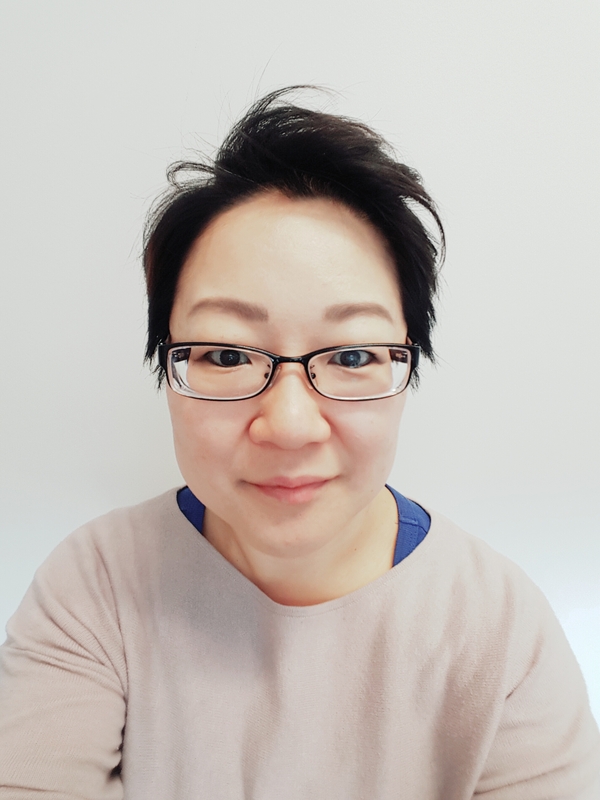 By Laura Yoo in Blackbird Poetry Festival, HoCoPoLitSo Reccomends, Mana's Musings on April 12, 2017 . Thank you for this! I will definitely check this out. Rita Dove is a personal favorite of mine.